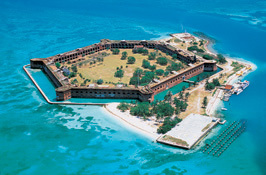 Key West is a tropical paradise and therefore very suited to kindling romance. 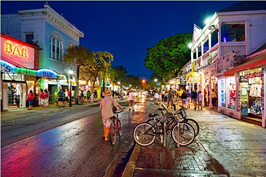 Whether you are the couple that are history buffs or the couple looking for fun in the sun, Key West has something for everyone. 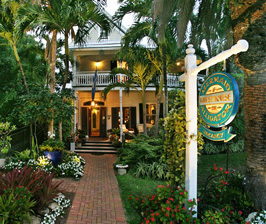 While there are many luxury places to stay in Key West, The Mermaid and the Alligator has history and charm to draw you in. Stay at a 1904 victorian home that offers “the warm hospitality of a traditional bed & breakfast while providing their guests a place to relax, enjoy the ambiance, and even shut out the rest of the world if you choose”. 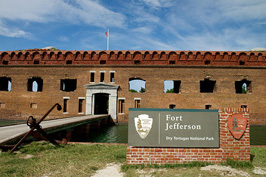 While visiting a historic military fort might not be the most romantic idea to those of us that aren’t history buffs, it is something you will certainly regret missing if you don’t. 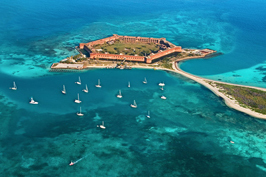 The Dry Tortugas park is the perfect place to pitch a tent, watch a spectacular sunset, and stargaze with your love. Bring a nice picnic dinner and make a day of it that your sweetheart is sure to never forget. 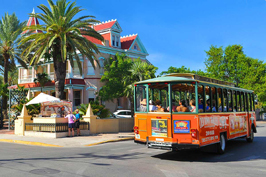 You can hop on an Old Town Trolley, Conch Train or Ghost Bus tour to catch a glimpse around the island and learn a little history in the process. 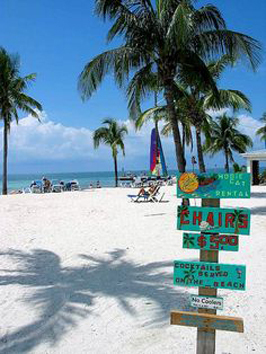 There are also many other ways to get around and things to do while in Key West. I suggest a bike tour for you and your sweetheart. 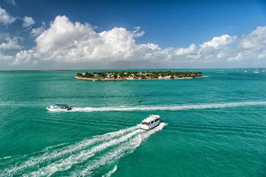 If biking is less your speed, get ready to embark on a trip of a lifetime and take a sunset cruise on a 65ft schooner, with Danger Charters. You can take some self-guided hiking tours of the parks in the area. 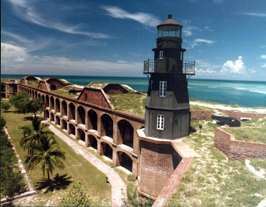 One of note beyond the Dry Tortugas is the Fort Zachary Taylor Historic State Park. 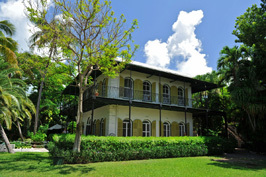 The Ernest Hemingway house is a site of note to visit when in Key West. 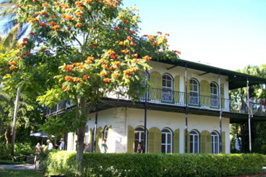 It is the former home to the writer, Ernest Hemingway and home to many six toed cats all named after famous people. 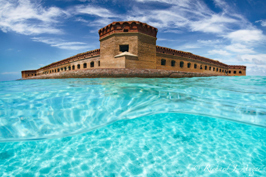 This home is just one of the many unique museum experiences you can have with your loved one when learning about the fascinating history of Key West. 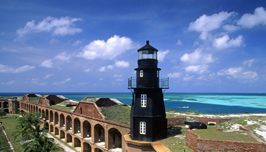 The East Martello Museum has a fair share of bizarre stories and also displays local art and historic artifacts and stories. While both of these sites are fun to see, one museum by far is the best for some unique and sometimes silly memories with your sweetheart, The Custom House. Here you can pose with the many statures in the sculpture gardens. 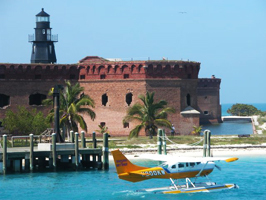 With gardens in mind, be sure to check out the Key West Butterfly Gardens. Here you can take in the wonderment of nature and walk among the winged beauties of the sky. 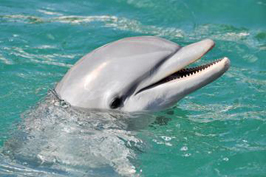 Key West also has an Aquarium where you can meet the creatures of the sea as well. Also of note is the Historical Association’s Lighthouse Keeper’s Quarters. Here you can see and early light house and what it was like to be the keeper of said lighthouse. 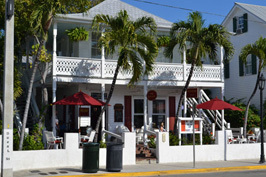 When finished learning about Key West’s history and fine art, finish off the day with a stop to listen to jazz and have a cocktail or two at The Little Room Jazz Club.